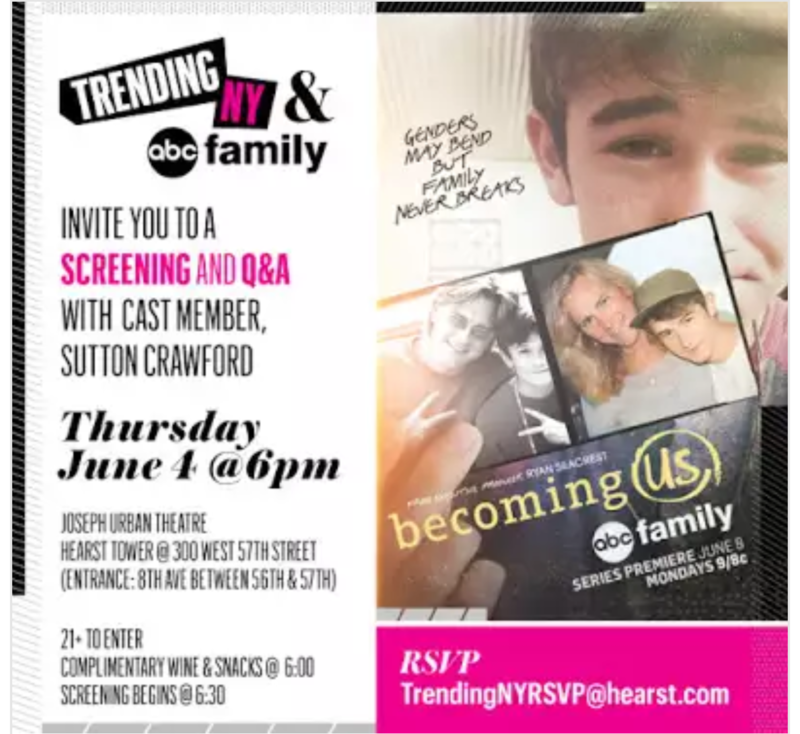 Invite you to a screening of Becoming US and Q&A with cast member, Sutton Crawford. Tags: free, Free NYC, screening, Sutton Crawford. Bookmark the permalink.